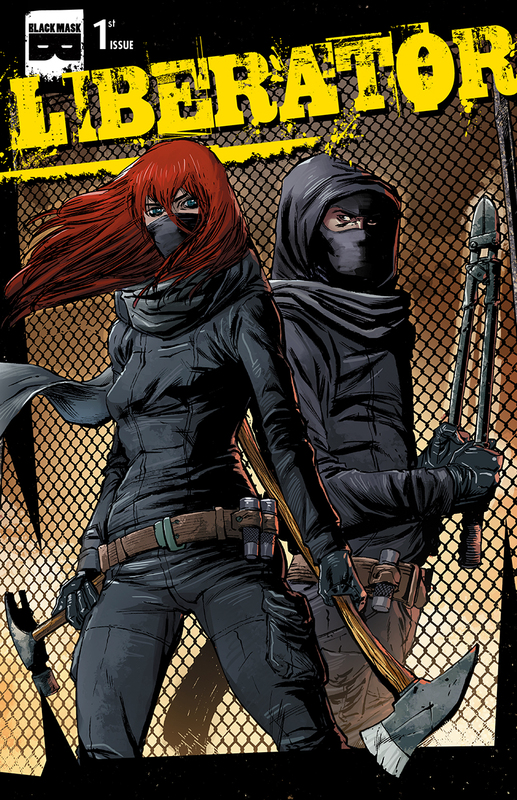 Liberator – out June 19 from Black Mask Studios! Well the Kickstarter funding drive was a total success and issue 1 is being finished up now – I’m super stoked that this book is a real thing that’s going to happen. Thank you to everyone who supported the funding campaign and everyone who tweeted and facebooked the link! A few days ago the announcement happened: Liberator is being published by Black Mask Studios, a new publisher founded by Steve Niles (horror writer of 30 Days of Night, Criminal Macabre and much much more), Matt Pizzolo (Halo-8, writer of Godkiller), and Brett Gurewitz (Bad Religion, founder of Epitaph records). Black Mask has some serious punk rock roots and it’s no secret that I grew up in the punk rock music scene and have a deep love for the music and the punk rock ethic. It’s a no-brainer that Liberator’s found the absolute best home she could. So, check out Liberator on the Black Mask Studios site (I’m also announced here as having done a piece for the Occupy Comics anthology – another thing I’m very proud of) and check out the announcement on Hollywood Reporter. I’m super proud to be part of this thing and way honored to have Liberator released alongside books from RZA and Ghostface Killah, Darick Robertson, and more. ← An Open Letter to the “Open Letter” author – on Women in Comics and Logistics of Liberator.